In 1922, Herb Hunter organized a U.S. Major League All Star Team that toured Japan. The team included Hall of Famers Casey Stengel, Waite Hoyt and George Kelly. The All Stars played 17 games against top Japanese opposition, winning 16 times. However, this U.S. team holds the dubious distinction of being the first group of American pros to lose in Japan. That losing game was played on November 19, 1922 against the Mita team. The 11/19 game was the seventh of seven games played at Shimaura at the beginning the Tour. In the previous six games, the U.S. team had destroyed various opposition by an aggregate score of 58-1! 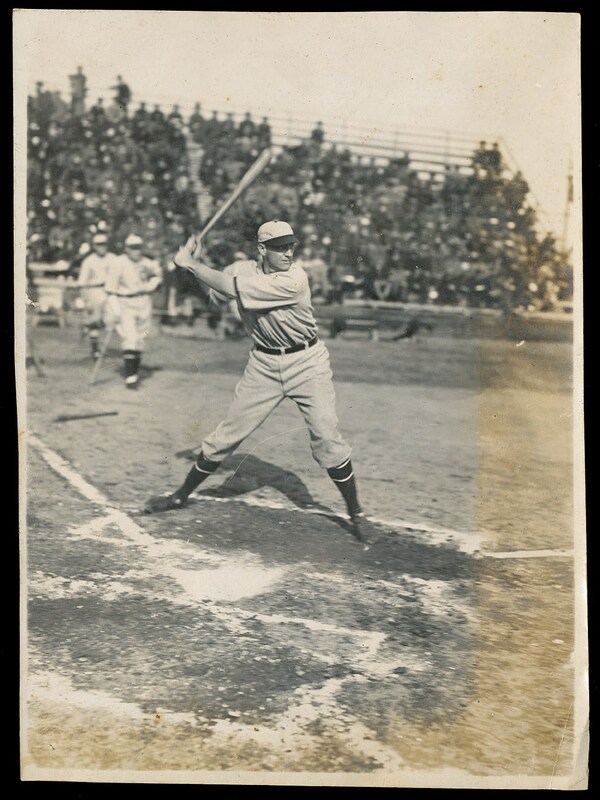 This photo of George Kelly in the batter's box was taken at one of the six "blowout" games. We know this because the uniform that the U.S. team wore in the fateful Mita game was different. 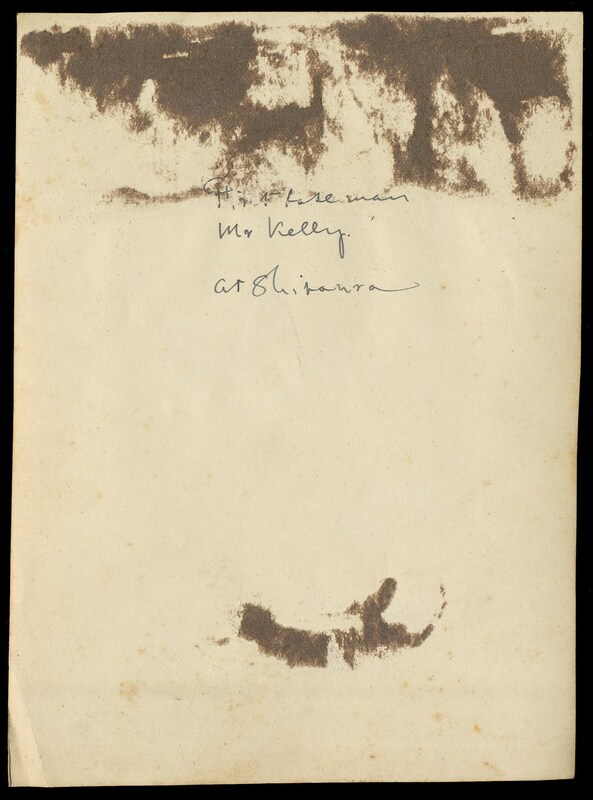 However, the English inscription on the back of the photo reads "first baseman Mr. Kelly at Shimaura". This is one of the very few original 1922 Tour photos in existence. It would be a welcome addition to any U.S. Tours of Japan collection. Condition: Yellowing around the top, right and bottom edges not affecting the main portion of the image. Corners and borders sharp. Paper and glue residue on the back from previous attachment to a photo album page.